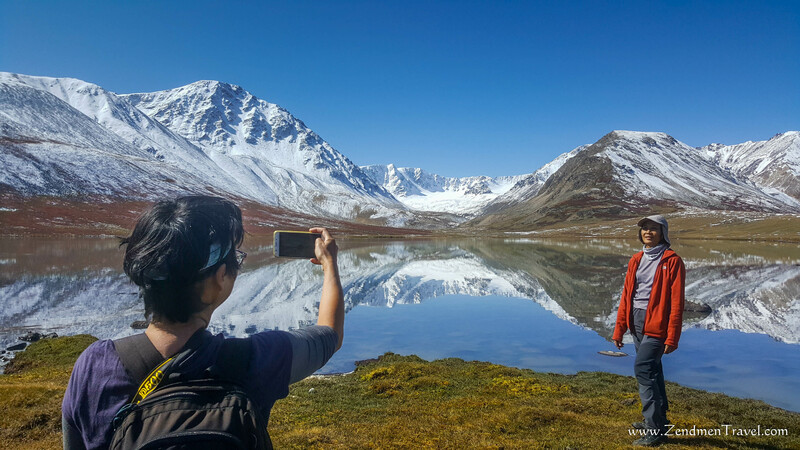 The towering peaks of the Tavan Bogd mountain range have, for centuries, mesmerised locals and visitors alike. 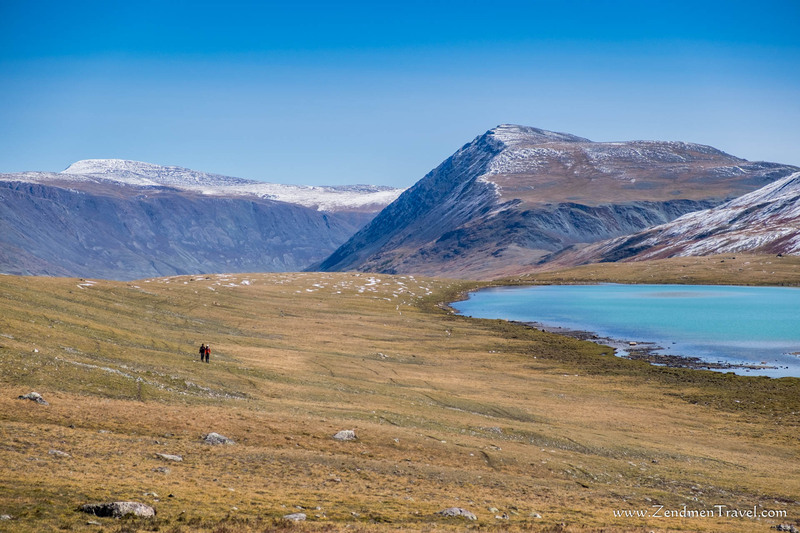 Located in the Bayan-Olgii, the westernmost province of Mongolia, this magnificent mountain range is home to unique species of alpine animals such as Argali sheep, ibex, red deer, moose, snow leopard and golden eagle. 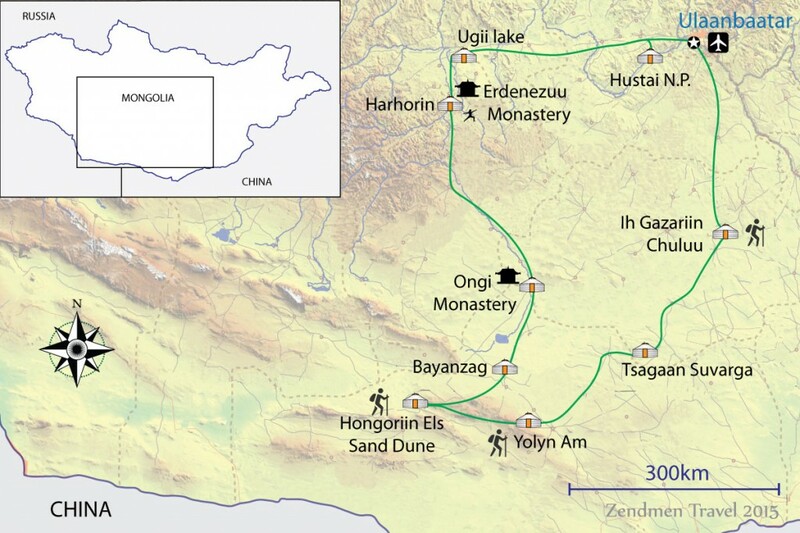 Bordering with China and Russia, Bayan-Olgii is inhabited largely by Muslim and Kazakh communities, and houses Mongolia’s highest peak, the Khuiten Peak, which stands at 4,374 m above sea-level. Summer makes a wonderful visit to experience one of the most dramatic natural landscapes Mongolia can offer. Besides the snow-capped peaks, travellers are also greeted by glaciers, deep lush valleys carpeted with myriad of flowers, alpine lakes and hospitable eagle-hunters. Horse riding is perhaps one of the best forms of transportation to get around the region. Riding through the rugged and yet untouched terrains makes one feel like Aragorn in The Lord of the Rings. Your journey starts from Olgii, the provincial capital, and make way towards the base of Tavan Bogd mountain range. Sleeping under the Milky Way, singing and drinking with the nomads, hiking in the mountain range and horse riding across stunning landscapes are just some of the amazing activities to whet your adventure appetite. The trip will end off with a cultural visit where you get to interact up-close and personal with the eagle-hunter and his family. The contrast between ancient traditions and the dawning of a 20th-century democracy is most visible in Ulaanbaatar where traditional gers (felt tents) and Buddhist monasteries coexist with modern high-rises. Upon arrival at the airport, you will be welcomed by your Zendmen Travel guide and transferred to a comfortable, centrally located hotel within walking distance of various museums and shops. You will visit Gandan Monastery, the largest Buddhist monastery in Mongolia where you can see a gigantic Janraisag Statue, the god of eternity, as tall as a 9 stories of apartment block. In the afternoon, you will visit the National Museum of Mongolia, one of the 100 best museums in the world where you can see traditional costumes of different ethnic Mongols, archaeological discoveries of prehistoric people and the Mongol Empire of the 13th century. Enjoy a welcome dinner at a local restaurant. Take a local flight to Ulgii. Ulgii is the westernmost town of Mongolia. Enjoy Kazakh cuisine for a lunch in a local restaurant in Ulgii. Drive to Visit an Eagle hunter’s family. Enjoy your evening with local Golden Eagle Hunter’s family. Learning local Kazakh culture and tradition and experience local animal herding customs. A half day to drive to Tsagaan Salaa on dirt road where you will go camping with a view of the Altai Tavan Bogd Mountain Range. After lunch you will acclimatise for the area’s altitude and go hiking around the campsite. You are now already in the Altai Tavan Bogd National Park. Highlight of the day will be visiting “Petroglyphic Complexes of the Mongolian Altai” which is listed under Unesco World Heritage Site. 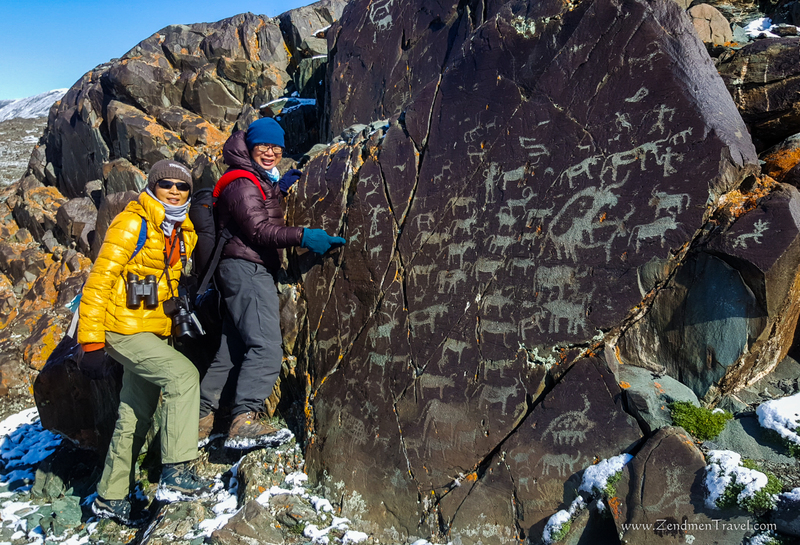 Throughout the journey you will come across prehistoric rock engravings dating back 12,000 years and the ancient Turkish stone men ‘balbal’ which witness the passing of Mongolia’s rich history. Also, Moslem burial tombs made from adobe, with their distinct architectural style. A few hours of drive to Altai Tavan Bogd Ranger gate. You will trek near the crown of Mongolia, Tavan Bogd Mountains with view of the highest peak in Mongolia, Mt Khuiten-4,374m. Making a visit here will mark that you are reached the extreme west and height of Mongolia at the same time. 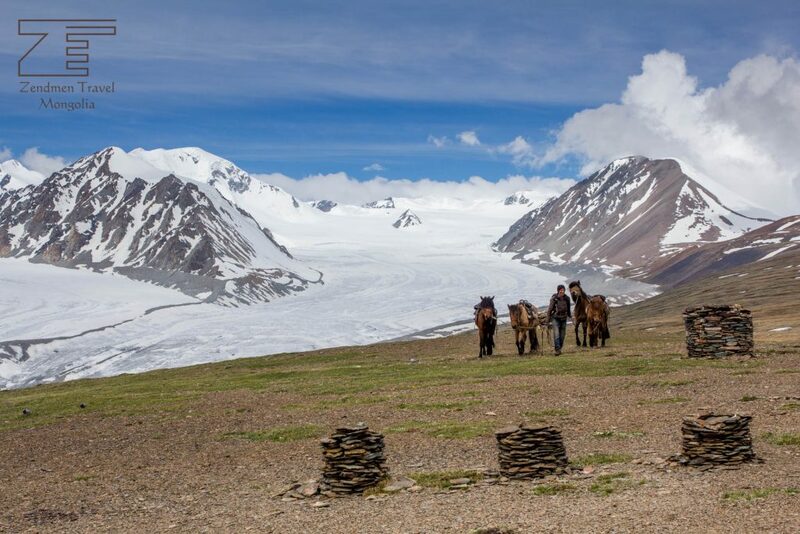 You will leave your sturdy vehicle behind and go with local herder’s horse up to the base camp. Trek from Tavan Bogd base camp to Tsagaan Gol Base camp for 18 km, camping at around 2900-3000m. Descend from 3000 m to 2800 m, approximately 5 hours trek. 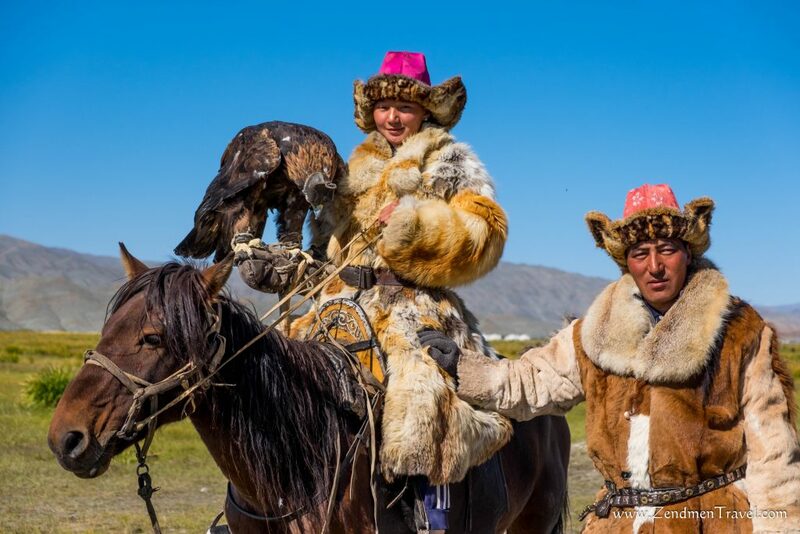 Drive to nomadic Kazakh family to enjoy your evening with local Golden Eagle Hunter’s family. Learning local Kazakh culture and tradition and experience local animal herding customs. Kazakh are the second largest ethnic groups after Khalkh in Mongolia almost 5% of Mongolian population. Day 8. Drive to Ulgii. Drivers will come back to pick the group. Drive back to Bayan Ulgii for another 130 km. Group can trek in the morning and can drive to Ulgii after lunch. This morning we catch a return flight to Ulaanbaatar. On arrival, transfer to your hotel. Free easy afternoon for shopping and enjoy farewell dinner. Day 10. Sightseeing in Ulaanbaatar. Mongolia’s bustling capital city, Ulaanbaatar, has much to offer its visitors where felt gers coexist with modern high-rises. Explore Ulaanbaatar where you can spend your time at boutique shops, trendy restaurants, fashion shows, and folk and pop concerts. Buddhist culture has got strong presence in Ulaanbaatar. Enjoy famous Tumen Ekh Folk Performance in Ulaanbaatar before dinner. After breakfast transfer to the airport for the flight home. How many of you are travelling? Have you travelled with us before? If yes, which trip(s)? Winter Festivals of Mongolia is truly magnificent travel experience for this winter: Ice Festival, Golden Eagle Festival, and Thousand Camel Festival. Horse sledging on the frozen Lake of Khovsgol, ice sculptures created by mother nature, tranquil setting of snow-covered wilderness setting will definitely take your breath away. Golden Eagle Festival offers tournaments testing agility and speed of hunter Eagles. 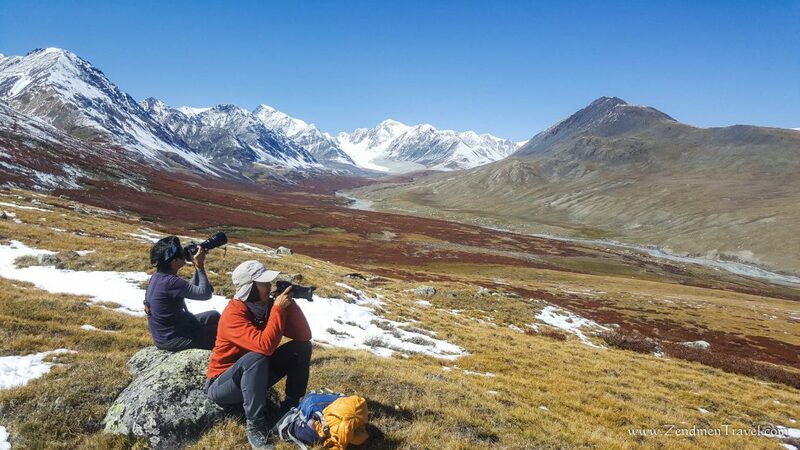 Mongolia is one of the remotest birding destinations in the world lying at the heart of vast Asia continent and about as far from the world’s oceans as you can get. 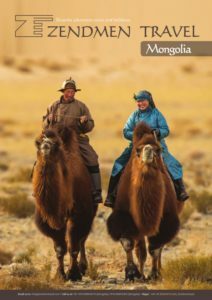 If you have a vision of Chinggis Khaan riding across a landscape of vast windswept deserts and steppes with no end to the horizon then you won’t be disappointed but you may be surprised to see vast snow-covered mountain ranges and huge wetlands as well because this is a country of great contrasts. Tailor-make option is available. Please contact us. Truly amazing epic landscape is begging for your exploration. You will have opportunities to trek in majestic, snow-capped Altai Mountains, up to 3,800 m and scenic Gobi Desert, while meeting nomadic people, experiencing their cultures of horse and camel riding. Observing variety of wild species is one of the main emphases of the trip. Enjoy a Naadam Festival tour in Ulaanbaatar, Mongolia. Naadam’s very meaning is celebration of Mongolia’s independence with nomads’ sporting tournaments. Attend grand opening ceremony in the Central Stadium in the morning. See Mongolia’s traditional wrestling, horse races, archery and knuckle bone shooting tournaments. We welcome you to join us for a tour to a beautiful Terelj National park and Chinggis Khaan Statue Complex. 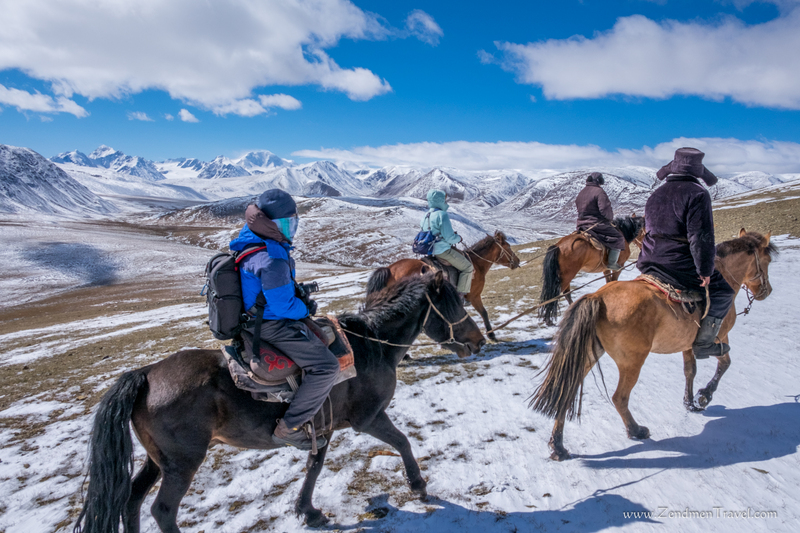 There are plenty of activities such as hiking, horse riding, star gazing, Mongolian folk performance and bit of Mongolian history awaits you for these 2 days. Join us for a journey through the Gobi Desert’s ancient mountains, green glens and sand dunes, against a backdrop of blue sky by day and a star-filled sky by night.Marco Polo paid a visit to the Gobi, and more recently Roy Chapman Andrews discovered the first-known dinosaur’s egg-nest at Flaming Cliffs. Enjoy annual Naadam Festival near the Lake Hovsgol. This is a great opportunity to witness Mongolia’s endurance horse race, traditional wrestling and archery tournaments. The trip allows you to explore breathtaking lake and spend your holiday trekking through Alpine meadows, cycling along the lake. Explore a land of yak herding nomads, Buddhist temples, and dramatic landscapes in stunning countryside of Mongolia. You will have plenty of opportunities to encounter with nomadic families while learning from their culture. Highlights of the trip include, among other, annual Yak Festival and a picturesque Ulaan Tsutgalan waterfall. A two day trip will take you to Aglag Buteel Monastery. A comfortable journey to the monastery can be ideal escape from your busy work routine. Experience Mongolia’s renowned Buddhist lama Purevbat’s art. Enjoy walking tour around the monastery and explore its rich heritage. Overnight in a comfortable ger camp. A tour to the world’s only species of Wild Horse, Takhi in Hustai National Park, Mongolia. This is a true ecotourism site- a heaven for various endangered species of flora and fauna. Be part of a day trip to tranquil wilderness, an hour drive from Ulaanbaatar. The area offers historic monuments of balbal and a deer stone. Join us for a cycling journey through the Gobi Desert’s ancient mountains, green glens against a backdrop of blue sky by day and a star-filled sky by night. The Gobi’s rich flora and fauna and has always attracted explorers. On your trip you may encounter Steppe Gazelle, Ibex, Wild Horned Sheep and soaring Lammergear. Horse riding in Mongolia is truly inspirational experience during which you can ride sturdy Mongolian horses with joy. This is a great opportunity to trot with enduring Mongolian horses to the stunning fresh water lake Hovsgol in Northern Mongolia. 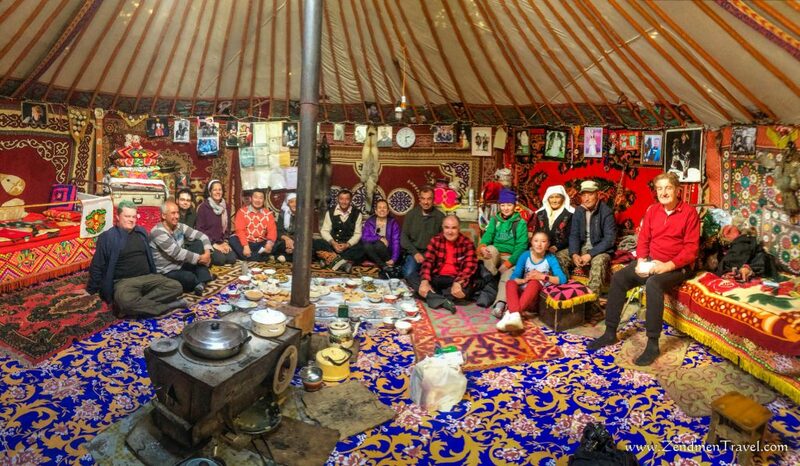 Making a visit to a nomadic family can be an enjoyable experience.